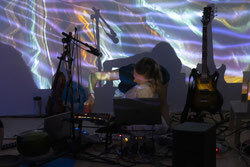 The Dor's is een live electronic duo bestaande uit Cecylia Dorotha Fenrych en Eva Dorothé Aukes. Cecylia en Eva ontmoetten elkaar in Amsterdam, waar ze sinds 2014 een duo vormen, waarin ze vanuit hun klassieke en instrumentele traditie zijn afgedwaald naar de wereld van elektronische muziek. De combinatie van akoestische gitaar en altviool met live elektronica resulteert in een kleurrijke mix van hypnotiserende, psychedelische en experimentele klanken. Met een breed genre aan inspiratie (van klassiek tot electropop en alles er tussen in) zijn hun composities een reflectie van bestaande muziek gemengd met origineel materiaal. 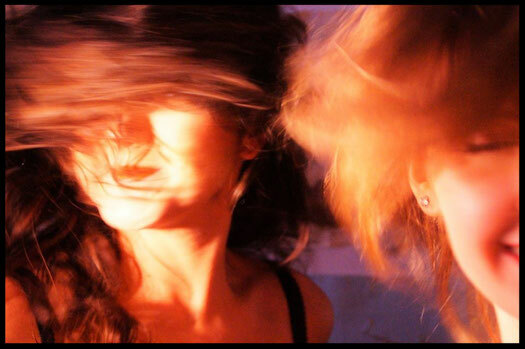 The Dora's is a live electronic duo existing of Cecylia Dorotha Fenrych and Eva Dorothé Aukes. Cecylia and Eva have been immersed in classical music for most of their lives. Their musical journey together began in Amsterdam in 2014. In their creations they have wandered off from the path of traditional instrumental music to explore the sounds of live electronics. 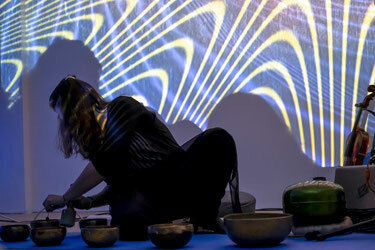 The blend of guitar and viola with live electronics and singingbowls resulted in a colorful mix of ambient, psychedelic, experimental and hypnotizing sounds. Inspired by an extensive range of artists (from classical to electropop and a lot of things in between), their compositions are a naturally shaped reflection on existing music merged with original material. Eva Aukes is a Dutch guitar player with a background in classical, flamenco and contemporary music. During her studies at the Conservatory of Amsterdam with Lydia Kennedy and Eric Vaarzon Morel, she also formed the duo Guitarra e Mistério with Portuguese guitarist Rafael Fraga with which she explored Portuguese traditional music. 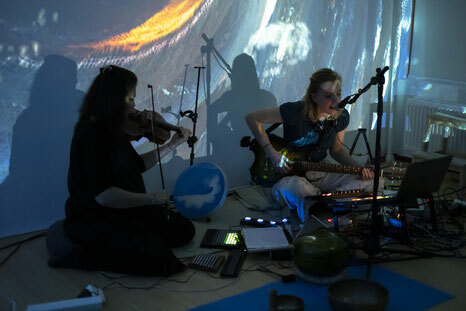 Searching for enrichment in her abilities as a musician, she delved into live electronics, programming, merging audio with visuals and theatrical music. After a two years master program in live electronics, with this interdisciplinary approach and interesting mix of styles she finds herself always looking for new material, form and meaning in her music. Born in Poland, Cecylia Fenrych started her musical education at an early age. She went on to graduate Interlochen Arts Academy in Michigan, USA where she studied Visual Arts and violin with Julia Bushkova, viola with David Holland. Cecylia continued her studies at the Longy School of Music in Boston and later at the Zurcher Hoschule der Kunst. While in Switzerland she founded the Kubrick Quartet, and as its member performed in various festivals across Europe. Her artistic collaboration with Zvi Carmeli resulted in studies at the Tel Aviv University and at the Jerusalem Academy of Music. Later she moved to Amsterdam where she continued her musical education at the Conservatory and founded the Fenrych Quartet. With this group Cecylia performed at the Grachtenfestival and the StLSQ seminar at Stanford, CA. Recent projects and collaborations take her further towards the electronic sounds and modern musical ideas.